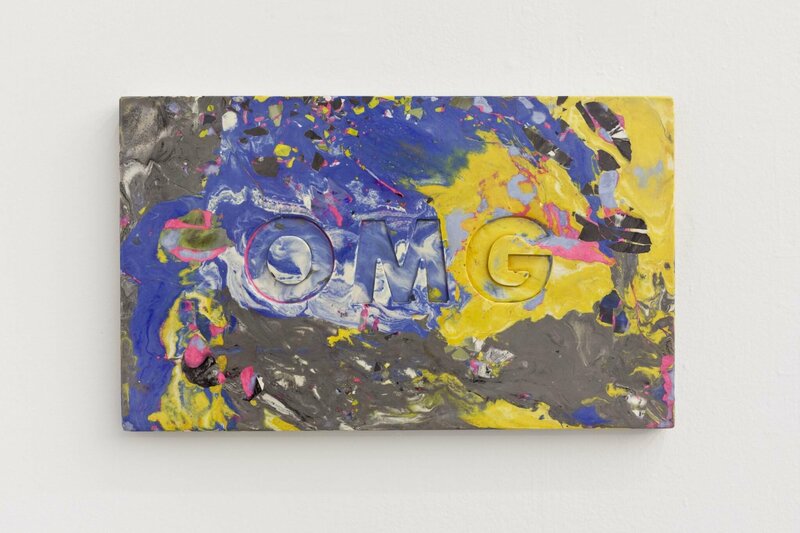 Amy O’Neill’s impressive and varied body of work includes drawings, installations, sculptures, and videos which reference Americana, art history, and folk art. 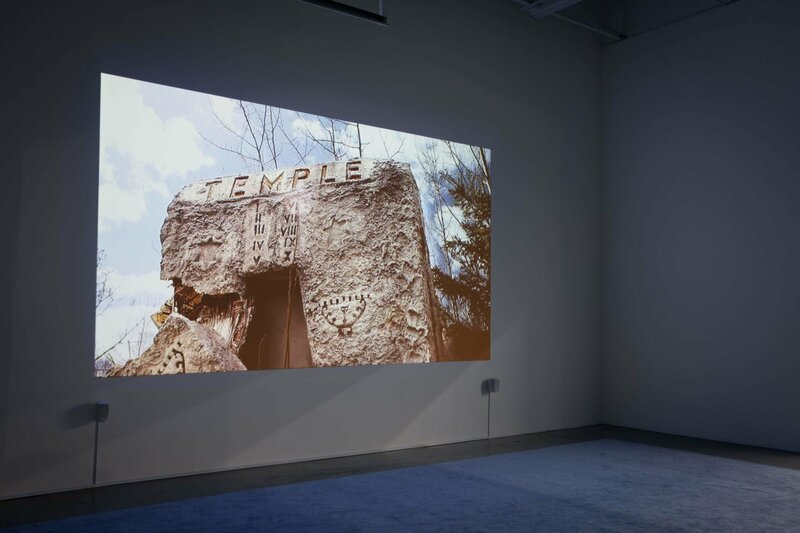 In this exhibition, O’Neill creates a super-sized environment filled with religious and cultural symbols that explore the American penchant for monumentalism in various forms. 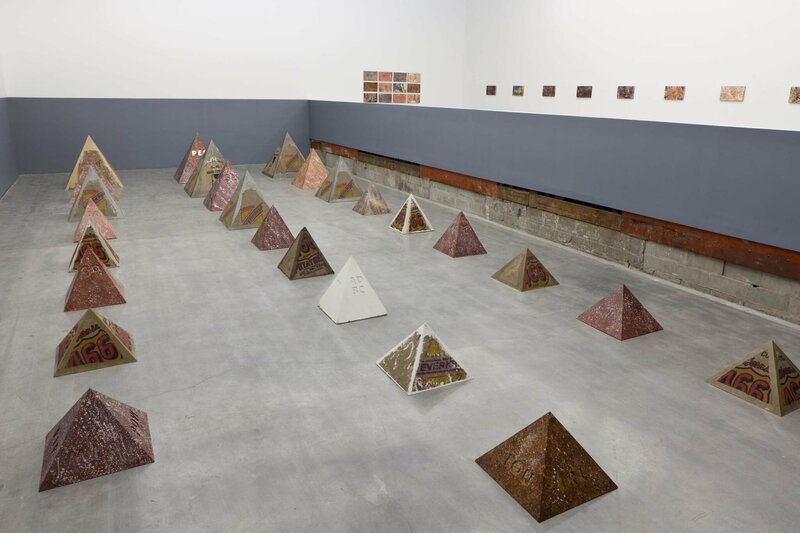 Behind an obfuscating wall in Swiss Institute’s main gallery, O’Neill’s site-specific installation emerges: nine rows of hydrocal and burlap pyramids rise up several feet from the gallery floor. 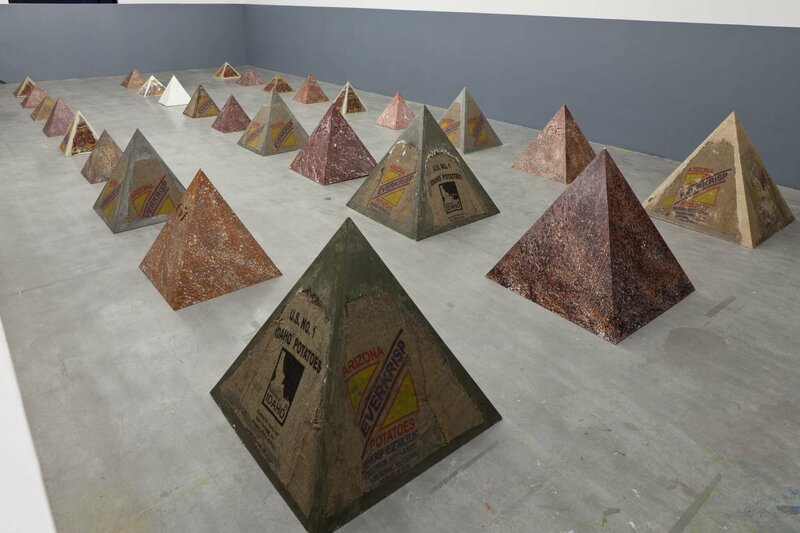 The pyramids, referencing scenes from the Holy Land video, are emblazoned with symbols referencing tweets, slang, and text-messages, shorthand that is recognizable yet cryptic. 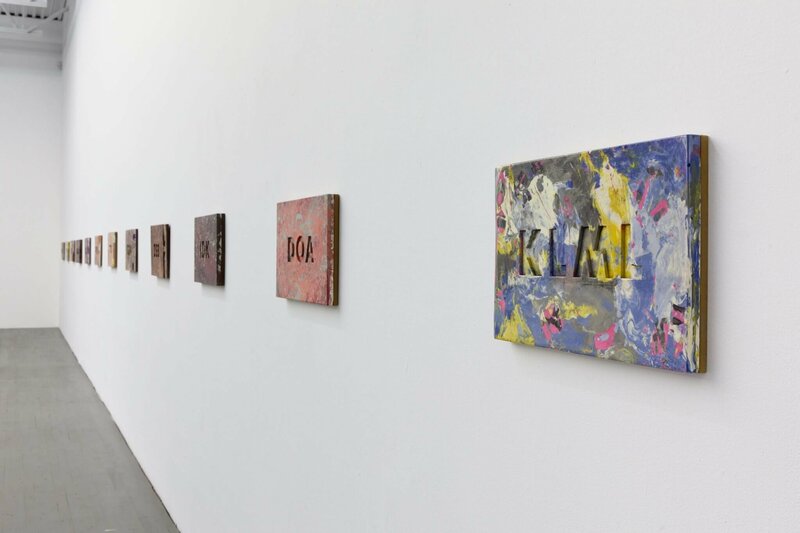 Language and position are combined, mummifying the currents of time.